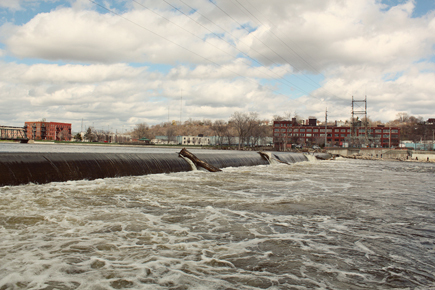 On the west side of the Grand River, we have an amazing functional art piece called the Fish Ladder. 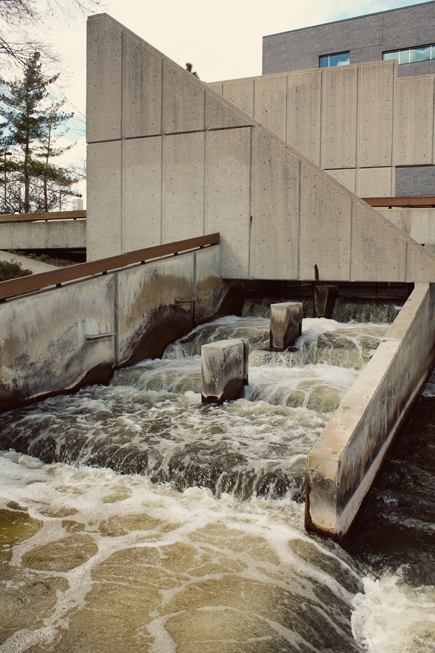 It was designed so that fish could jump and battle the flowing river easier on their journey east, but it also allows people to see the fish literally jump up the stairs! It's so fun to watch. Most of the activity happens in spring and late summer, but I didn't see any fish jumping this time! I'll have to go back soon! I found inspiration for this outfit in Lucky Magazine. 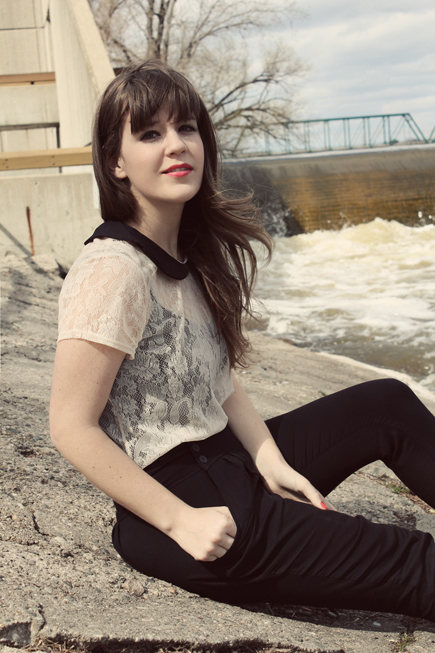 In the latest issue, they had an article on four ways to style up a lace top. In one of the styles, they paired it with high-waisted pants and heels and I loved it! I was originally going to wear this to Chicago on Saturday for the vintage expo, but the weather was so crappy I decided to opt out. Thankfully it was all sunshine in Grand Rapids on Sunday! 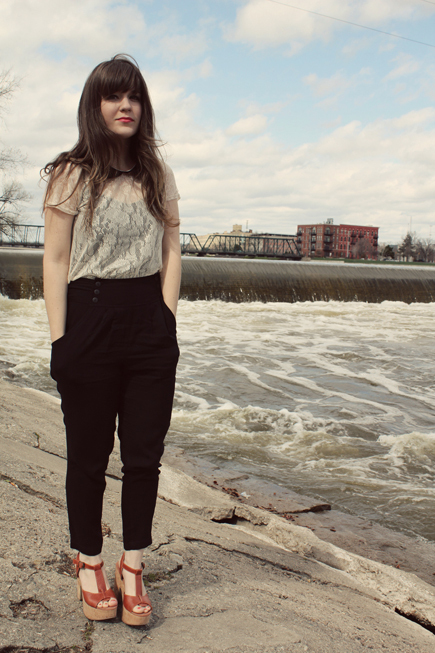 I absolutely adore ThreadSence's new lookbook and couldn't wait to pair my Garren heels with these pants. The whole spread with the floral tank and cardigan is perfect. It's like the exact spring style I want. Now we just need spring weather! I'm really liking my darker locks lately! It was like... the blonde tips disappeared so suddenly! I went for so long having ombre hair and now it's almost all dark. I was contemplating going darker, or going red, or even adding more highlights but I think I'm going to stick in the natural world for a while. My hair is the least dry/damaged it's ever been! It's so funny because I grew up hating my hair color. I'm glad I finally came around.